Do you sometimes feel that you're spinning your wheels trying to attract visitors and welcome them into your church? Help is on the way. Using the Program Guide with DVD-ROM, the pastor and church leaders learn about the program, then set a vision and plan for using it in their congregation. Four-week period to get church members on board through small groups and worship. Small-Group Participant Book and Small-Group DVD with Leader Guide will help get the congregation informed and excited about the new evangelism effort. Using the Implementation Guide, church teams carry out the plan. This guide includes step-by-step directions for changing church culture and beginning to invite and welcome people outside the church. The Implementation Guide is a vital follow-up resource, for use by church leaders and other teams to put the Catch principles into practice at your church. This step-by-step guide will enable you to convert principles, inspiration, and excitement into action. For each part, the steps are described, and the tasks to accomplish those steps are listed. Forms, scripts, and other reproducibles are provided. The accompanying DVD-ROM offers training clips, inspirational clips about Bible study, worship, and small groups; and examples of useful tools and documents-- emails, letters, ministry team tips, and more--for your use in attracting visitors and connecting them to the life of your church. 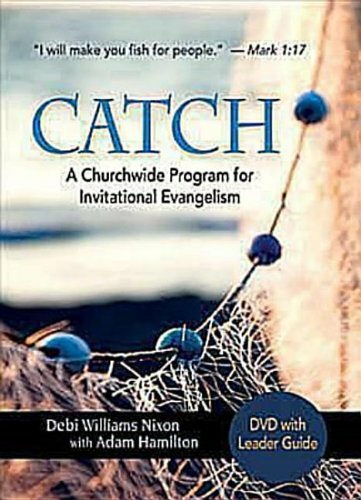 This Small-Group DVD contains short, inspiring videos to be used during a four-week small-group study as part of the Catch program. The videos feature Adam Hamilton, Debi Nixon, and other leaders at Church of Resurrection describing their evangelism ministries. The Abingdon-Church of the Resurrection Ministry Guides are the first choice for recruiting, motivating, and developing lay leadership for specialized ministries from A to Z--from adult ministries to ushering. Each inexpensive, 64-page Guide brings together Church of the Resurrection's can-do attitude with Abingdon Press's ministry of empowering church leaders. The result is a series that is user-friendly, encouraging, and most important, practical. 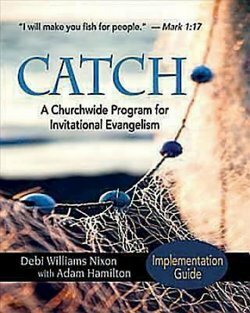 The passion to help churches experience how many things they can do to encourage participation drives these Ministry Guides. Each Guide is concise, conversational, and current, full of ideas you'll be able to implement immediately, with little or no budget. Recognizing that volunteers are busy people who work hard, the Guides will be the first place to turn when you're new to a topic, to help you feel empowered, prepare quickly, and get up and running with confidence and creativity. You'll find eye-catching icons and features that help you move directly to practical, fun, and effective solutions. Adam Hamilton, named by PBS’s Religion and Ethics Newsweekly as one of the top “Ten People to Watch,” has created an inviting new series of video-and-book studies on love and marriage, life issues, world religions, and Christian denominations. 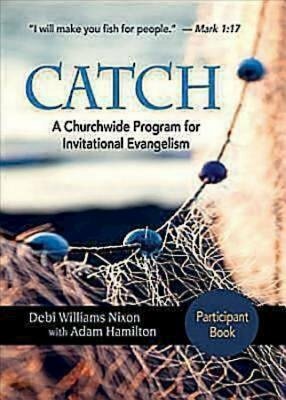 Hamilton calls these small-group studies “fishing expeditions,” because they include tools for congregation wide and communitywide programs to draw in new members. Six 15 - minute video segments feature Hamilton's message on world religions and comments from leaders of those faiths. Christianity and World Religions: Wrestling With Questions People Ask is a video-based small-group study and outreach program that explores four major world religions- Hinduism, Buddhism, Islam, and Judaism - and compares the beliefs of each with those of Christianity. This six-week study deals openly and honestly with questions people ask about other religions, including why we should believe the claims of Christianity over those of other faiths. As part of the study, author and presenter Adam Hamilton interviews a religious leader from each tradition. He treats the world religions with great respect, recognizing the unique contributions of each. In examining these major world religions and the beliefs of their followers, the Hamilton urges us as Christians to build bridges with others so that we might grow in our faith, seek peace in our world, love our neighbor, and find positive ways to share the gospel. 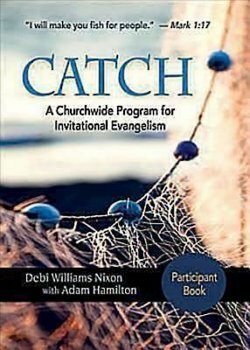 This 20-page booklet and CD ROM is for the pastor to use in sermon preparation and promotion.The CD ROM includes video excerpts, program scripts, PowerPoint presentations, sample letters, sermon starters, scripture references, ideas for children and youth programs, promotional materials, and much more. Reproducible worksheets, session summaries, discussion questions, and actvitites. We work alongside, go to school with, and live next door to people of other religions, yet most of us understand little about their faith. In this series, we explore where there is common ground between Christianity and four other world religions, as well as where they differ from one another. In these video presentations, Adam Hamilton presents a welcoming, inspiring vision of eight Christian denominations and faith traditions. 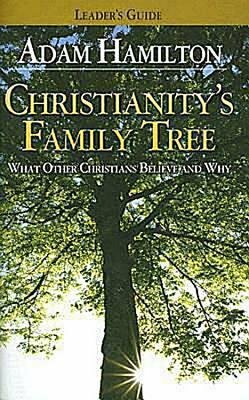 Comparing the Christian family to our own extended families, he contends that each denomination has a unique, valuable perspective to offer on the Christian faith. 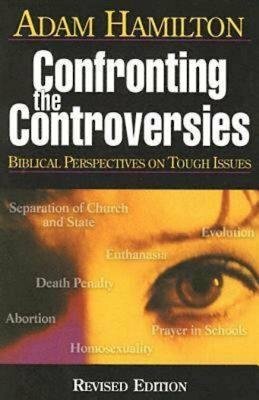 For each group, he gives a brief history, outlines major beliefs, and describes some things we can learn from that tradition to strengthen our own Christian faith. In in this study, Adam Hamilton presents a generous, inspiring vision of eight Christian denominations and faith traditions. 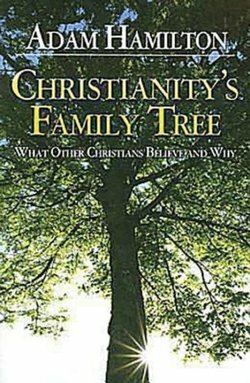 Comparing the Christian family to our own extended families, he contends that each denomination has a unique, valuable perspective to offer on the Christian faith. The traditions included in this eight-week video-and-print study are Orthodoxy, Catholicism, Lutheranism, Presbyterianism, Anglicanism, Baptists, Pentecostalism, and Methodism. 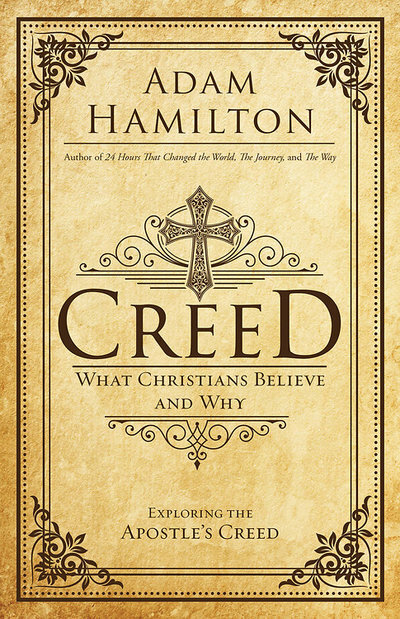 For each group, Hamilton gives a brief history, outlines major beliefs, and describes some things we can learn from that tradition to strengthen our own Christian faith. As part of the study, he interviews a religious leader from each tradition. 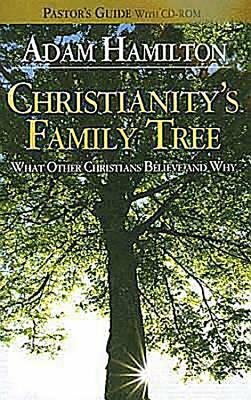 This book is excellent for individual reading or can be used as the small group study book for the Christianity's Family Tree DVD based study. 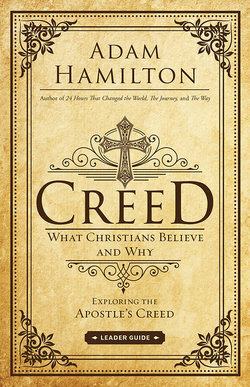 In this book, Adam Hamilton presents a welcoming, inspiring vision of eight Christian denominations and faith traditions. Comparing the Christian family to our own extended families, he contends that each denomination has a unique, valuable perspective to offer on the Christian faith. 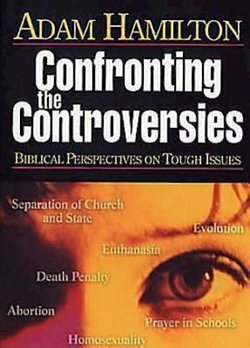 The traditions he examines are Orthodoxy, Catholocism, Lutheranism, Prebyterianism, Anglicanism, Baptists, Pentecostalism, and Methodism. For each group, Hamilton gives a brief history, outlines major beliefs, and describes some things we can learn from that tradition to strengthen our own Christian faith. In Christianity’s Family Tree: What Other Christians Believe and Why, Adam Hamilton presents a generous, inspiring vision of eight Christian denominations and faith traditions. Comparing the Christian family to our own extended families, he contends that each denomination has a unique, valuable perspective to offer on the Christian faith. This pastor’s guide with CD-ROM gives you the information and tools needed to expand the small-group study into a congregationwide event that can reach beyond the classroom, beyond the sanctuary, and into the community, bringing new people into your church. 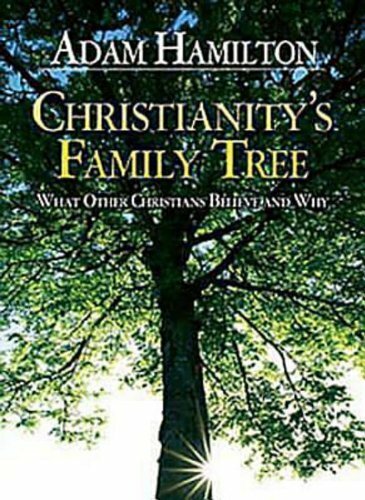 Christianity’s Family Tree is a comprehensive program for reaching new people, creating interest, launching new small groups, and strengthening existing classes. Ready to offer the entire program? We suggest ordering the planning kit. Purchase this DVD if additional copies are needed. One copy of the DVD is packaged in the kit. 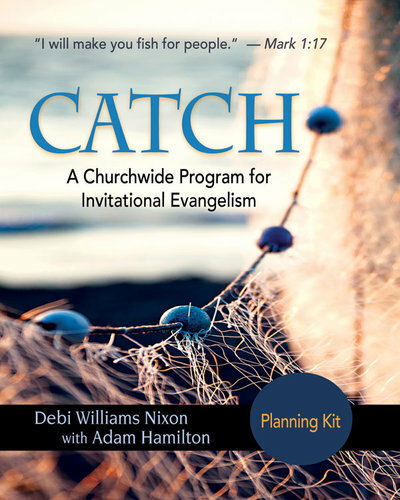 The study is designed as a "fishing expedition," with tools and helps that will enable congregations to make the study a church and community-wide outreach event, including sermon starters and promotion aids. We’re all searching. Sometimes the search is easy: simply type a question and the answer pops up. But sometimes our questions are complicated, and the answers are difficult to see and harder to articulate. How do we discover and examine the truths that give meaning and purpose to life? The Apostles’ Creed, an early statement of foundational Christian beliefs, contains some powerful answers. 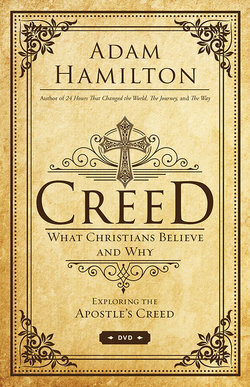 In this six-week study of the Apostle's Creed, Hamilton considers important questions of life, reality, and truth. 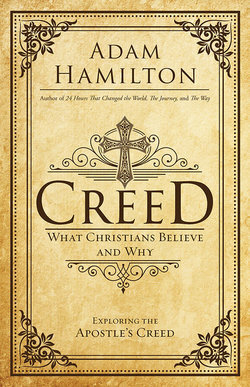 He explores not only what Christians believe, but also why they believe it and why it matters. The Children's Leader Guide contains session ideas for younger and older children, including games, activities, craft ideas, and reproducible handouts. Children are forming their own faith. We can help shape it by looking at the beliefs contained in the Apostles’ Creed and presenting them in a way that children can follow and enjoy. This is what Adam has to say about Creed: In some ways it is my attempt to do what C.S. Lewis did in 1943 with Mere Christianity – to help Christians understand what they believe, but even more importantly, to make the case for Christian faith for those who have doubts or questions. I use the Apostles’ Creed as a way of looking at the essential tenants of Christianity and then look at how we make sense of these things in our modern world, and why these beliefs still matter. As I wrote it I was thinking of the many young adults who grew up in church but no longer attend. The DVD contains six video segments of 10-12 minutes each, featuring Adam Hamilton in an informal setting with a group of seekers and believers. The videos, when combined with the six book chapters, make an ideal 6-week group study. All video sessions are closed captioned. The Leader Guide contains everything needed to guide a group through the 6-week study including session plans and discussion questions, as well as multiple format options. For small groups there is a leaders guide available along with a small group DVD which was filmed at Resurrection Downtown. There are also resources for children and youth for congregations looking to do a church wide study. This Youth Study Book takes the ideas presented in Adam Hamilton’s book and interprets them for young people grades 6-12. Includes leader helps with discussion questions and can be used with the adult-level DVD. David was a paradox. Scriptures call him a man after God’s own heart. He’s known as one of Israel’s greatest kings, yet he was still fully human. He made destructive choices, abused his power and caused brokenness in the lives of others. But despite his failures, he ultimately sought to follow God and was redeemed by truth and forgiveness. Money has great power in our lives. Used wisely, it is one key to accomplishing our goals, providing for our needs, and fulfilling our life purpose. In recent years, many of us ignored the wisdom of the past when it came to managing and spending our money. Credit card debt soared, savings rates plummeted, and our home equity became something to be tapped into and spent rather than a source of security in retirement. We felt an insatiable desire for more. And we found ourselves spending tomorrow's money today in order to have what we hoped would satisfy. The result of all of this was not greater happiness and satisfaction, but greater stress and anxiety. Enough is an invitation to rediscover the Bible's wisdom when it comes to prudent financial practices. In these pages are found the keys to experiencing contentment, overcoming fear, and discovering joy through simplicity and generosity. This book could change your life, by changing your relationship with money. "We Americans love our stuff. We're living in a fast-paced, me-first, instant-gratification world, and it's finally catching up to us. Debt is out of control, homes are in foreclosure ... even banks are going out of business. What the world needs today is the message of contentment and simplicity, and that's exactly what Pastor Adam Hamilton delivers in Enough." "Once again, Adam Hamilton is leading the church; 'Enough is enough' was once a Wesleyan watchword. Adam breathes new life into the Wesleyan commitment to simplicity. 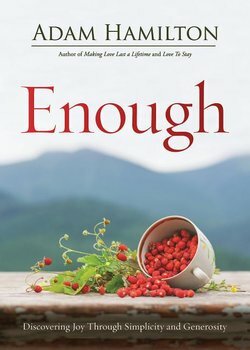 Amid a culture of greed and conspicuous consumption Adam calls us to a biblically based, evangelical joy of having the faith to say 'enough is enough.'" "I pay close attention to whatever Adam Hamilton writes. His books are marked by extraordinary pastoral insight, biblical and theological depth, courage to speak the truth, and down-to-earth practicality. Enough comes like an antidote in the middle of a pandemic. I hope that classes, groups, couples, and individuals will use this book--and the economic crisis it addresses--as a challenge to get healthy again by deepening our discipleship in the vital area of money and possessions."